September 4, 2015 [St. Petersburg, FL] -- The Florida Holocaust Museum in partnership with the Sarasota Opera and the Straz Center will present two performances of "Forbidden Music -- Works Banned by the Nazis," a concert to raise awareness of the Nazi campaign against "Entartete Kunst" (degenerate art). The concerts will be performed in Sarasota at the Sarasota Opera House on Saturday, November 7th at 8:00 p.m. and will be repeated in Ferguson Hall of the Straz Center in Tampa on Sunday, November 8th at 3 p.m. The concerts coincide with the commemoration of Kristallnacht, the "Night of Broken Glass," which took place on November 9 and 10, 1938. In the Nazi campaign of antisemitism, the music of Jewish composers was seen as inharmonious and morally and spiritually dangerous. They did not invent new derogatory terms to describe Jews but rather turned the word "Jew" into a derogatory word itself. The description of "Jewishness" began to serve as the synonym of works seen as "un-German" or "degenerate." By 1934, even non-Jewish composers such as Pfitzner and Hindemith were maligned as "atonal noisemakers" because of their associations with Jewish composers and musicians. Composers who will be represented in the concerts include Mendelssohn, Gershwin, Weill, and Hans Krasa, who was murdered in Auschwitz. The concert program, under the direction of Sarasota Opera's artistic director Victor DeRenzi, will contain songs, arias and instrumental pieces that were banned by the Nazis. Performers will be artists from Sarasota Opera's Fall Season of Puccini's La bohème and Sarasota Youth Opera's production of Brundibar. Narration developed by The FHM will tie the elements of the concert program together with themes of banned music and Nazi persecution of artists. To purchase tickets, call the Sarasota Opera at (941) 328-1300 or the Straz Center at (813) 229-7827. VIP Packages, including a VIP Reception, are available. To purchase VIP Packages, call Stacy Ridenour at the Sarasota Opera at (941) 366-8450 ext. 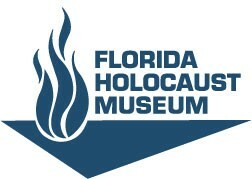 246 or Maria Johnston at The Florida Holocaust Museum at (727) 820-0100 ext. 274. Following the two concerts, The FHM will hold its annual Kristallnacht Commemoration on Monday, November, 9th at 6:30 p.m. at the Museum. Holocaust scholar Wendy Lower, Ph.D., John K. Roth Professor of History and George R. Roberts Fellow of Claremont McKenna College, will discuss her book Hitler's Furies, which examines Nazism's brutal and murderous feminine side, after the community Commemoration ceremony. This event is free and open to the public. In addition to the concerts, the collaboration with the Sarasota Opera includes the free lecture "Antisemitism Past & Present" by Hava Holzhauer, Anti-Defamation League Florida Regional Director, on Thursday, November 5th at 5:30 p.m. in the Kamlet Library in the Sarasota Opera House Pavilion. For a few decades after the Holocaust, it seemed as if antisemitism was on the decline but now there is a resurgence of hatred of Jews throughout the world. Holzhauer will talk about antisemitism in Europe leading up to the Holocaust, comparing and contrasting it with antisemitism today in Europe and in the United States. Presented in partnership with the Sarasota Opera and the Jewish Federation of Sarasota-Manatee. To conclude the collaborative project, on Thursday, November 19th at 5:30 p.m. there will be a community conversation with a panel discussion about contemporary antisemitism worldwide and locally. This discussion, also held in the Sarasota Opera House Kamlet Library, is open to the public and will build on and respond to the November 5th lecture. This Sarasota Opera and Florida Holocaust Museum collaboration is made possible in part with support from the Jewish Federation of Sarasota-Manatee and the Community Foundation of Tampa Bay.